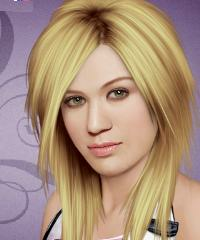 Kelly Clarkson became famous after American Idol. Dress Kelly up and use all the make-up options and the hair colors. It will be fun to try out different haircuts as well. Have fun.